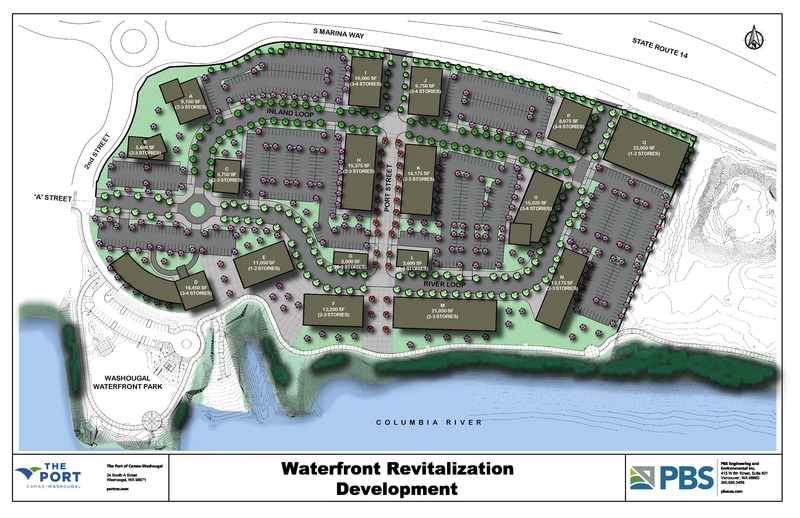 WASHOUGAL — The Port of Camas-Washougal is moving into the early stages of further developing the Washougal waterfront area surrounding the marina and Waterfront Park. Over 13 acres of land in the area known as Parker’s Landing, now owned by the port, has four developers interested in a partnership. All of which are being interviewed over the next two weeks. Developers bidding on the project include RKm Development, Project ^, Williams/Dame & Associates, Inc., and Terra Pacific Development, LLC. The port plans to break ground this year and begin the process, with final construction completion estimated at 10 years or more. 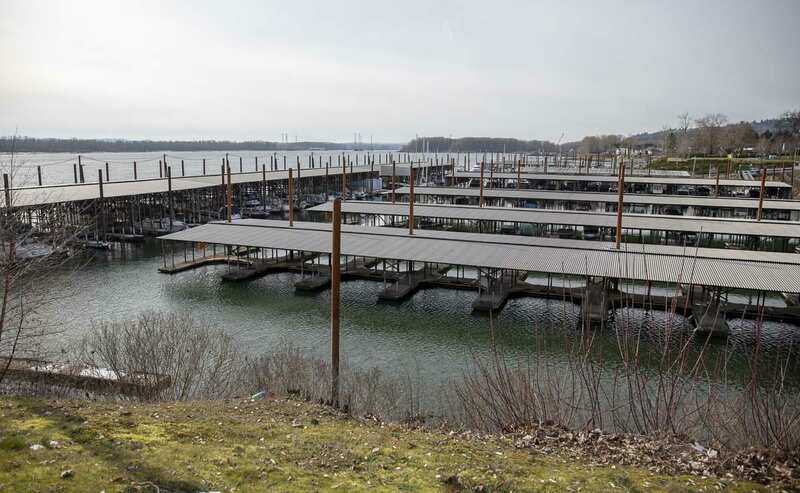 Miller explained that the development of the waterfront has been largely fueled by knowledge gained through community outreach and involvement, and strong relationships with the cities of Camas and Washougal. The goal of the development will be to bring in more commerce and amenities for both communities, and not take away from either city’s downtown area, Miller said. In 2014, the site was cleaned and restored after being owned by Hambleton Lumber Co. since 1953. The clean-up was paid for through a grant of more than $500,000 grant through the Department of Ecology. 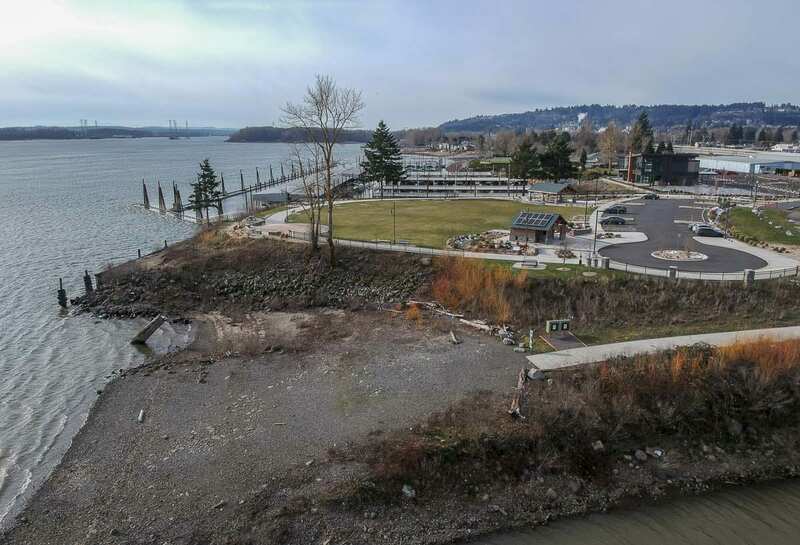 Land purchase cost over several years and development of the existing waterfront park and trail starting in 2013, cost the port $17 million, with $5.3 million provided through revenues, grants and donations, said Kim Noah, director of operations for the port. At present, the port’s reserve is currently at just over $2 million, and thus it is seeking an in depth private-public partnership with the developer they choose. Killian Pacific, who will build residential structures on their land, agreed to have the port clear their land, which cost $200,000. The development itself aims to address a number of areas. The first items will be further clearing of land and the construction of a natural play area. A statue of sasquatch, named Eegah, will be the centerpiece of the playground, and add a the next artistic feature, with support from the Washougal Arts and Cultural Alliance. Construction of the play area was delayed, due to higher than expected costs, but is slated to break ground in March of this year. The next area of development will consist of 17 or more proposed buildings, not including Killian Pacific’s residential construction. These structures will take the longest amount of time during the project and be filled with community spaces and leased to businesses. The main trail constructed with Waterfront Park will also be expanded. 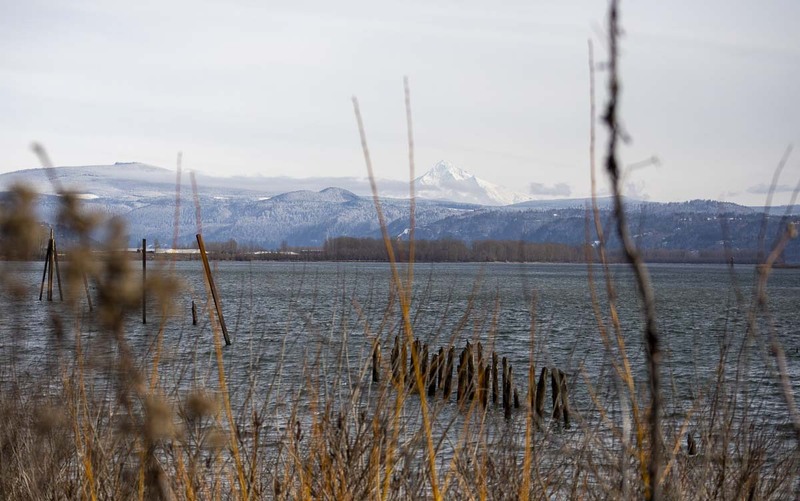 Connecting north to the Lacamas Heritage Trail system and east towards Steigerwald Wildlife Refuge, the new trail will be the “missing link;” completing the Columbia River Trail. 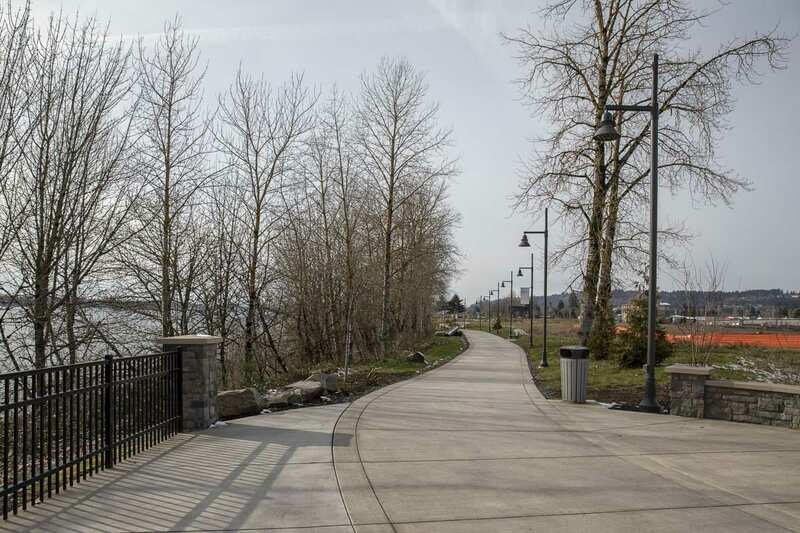 Altogether, the trail addition will connect walkways in Vancouver, Camas and Washougal through continuity between Washougal Waterfront Park, Steamboat Landing Park and Lewis and Clark Heritage Trail. 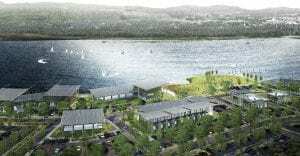 Improvements to The Port managed marina are also included in the development plan, Miller said. Making the access ramp ADA compliant, updating the breakwater dock and redoing the boat ramp decks, are all proposed improvements.